Christmas at Canterbury, Dec. 4 and 11, 3-8 p.m., Canterbury, 603-783-9511, www.shakers.org. 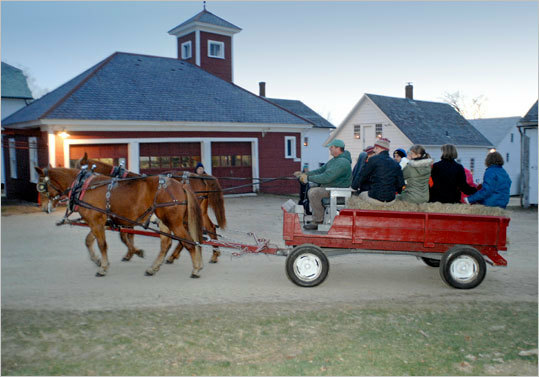 Luminarias, sleigh and wagon rides, magic and puppet shows, music, gingerbread houses, and crafts on the grounds of Canterbury Shaker Village. Adults $17, children ages 6-17 $8, under 5 free.